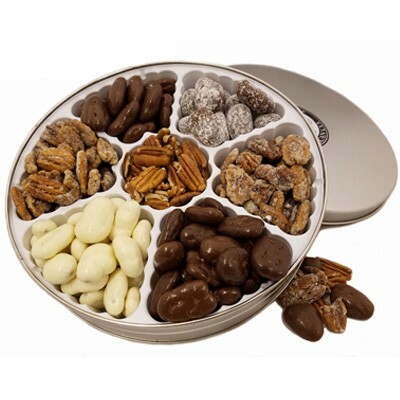 Home > Manufacturers > Millican Pecan Co.
Millican Pecan Company boasts a truly rich history. Our great-great-grandfather, E.E. Risien, founded the West Texas Pecan Nursery at the junction of the San Saba and Colorado Rivers. This part of the Texas Hill Country is known as the "Pecan Capital of the World." From this location, our family developed many great pecan varieties, as well as a prosperous orchard that serves our customers well, even to this day. The "Mother Pecan Tree", located in the heart of this orchard, has been used to produce many great pecan varieties. Some of these include the: San Saba Improved, Texas Prolific, Onliwon, Squirrel Delight, No.60, and Western Schley and these are just a few of the varieties this tree has produced! lines are expanding, our vision for the future is rooted in our heritage from the past. Millican Pecan is where old fashioned goodness and state of the art technology meet. Our goal is to deliver quality pecan products from our orchard to you!